Anna Ushenina is Women’s World Champion! Anna Ushenina from Ukraine became the new Women’s World Champion after defeating Antoaneta Stefanova from Bulgaria in the final match by 3,5-2,5. Congratulations! The score after the four classical games was tied 2-2, with Ushenina winning the third game and Stefanova striking back in the fourth. The rapid tie-break match was played on Saturday. Ushenina came on the top with 1,5-0,5 to claim the title. Replay the games. Stefanova, the former World Champion in 2004-2006, was prevented from winning the title again. 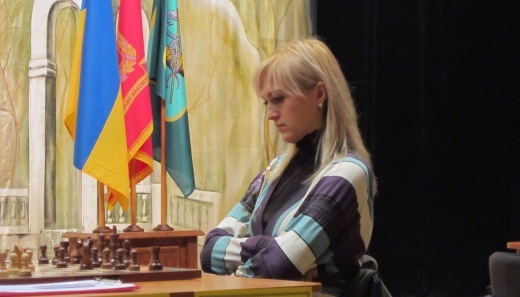 She is also the reigning Women’s World Rapid Champion. Anna Ushenina will defend her title in 2013 in a match against Hou Yifan, the former World Champion (2010-2012) who qualified as the winner of the FIDE Grand Prix series.